Are mindfulness meditation and self-hypnosis the same or different? Mindfulness and self-hypnosis? It is one of those questions I get asked a lot, especially on my science of self-hypnosis seminars – what is the difference between self-hypnosis and mindful meditation? Is there actually any difference between the two? 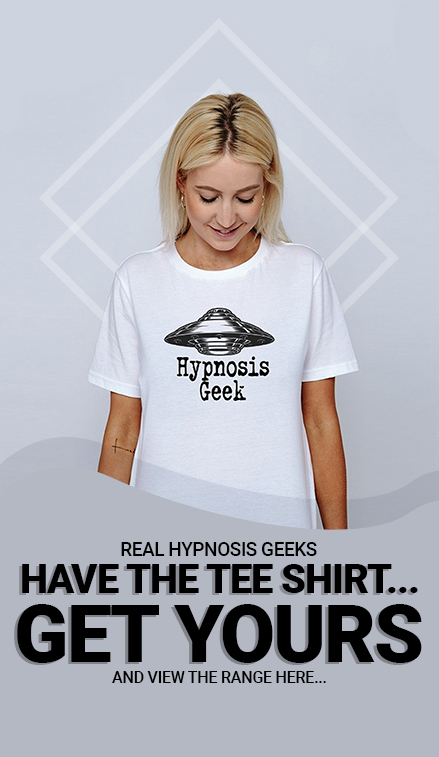 As it happens, there have been a number of hypnosis researchers and academics who have considered combining the two and some have suggested the merits of integrating and thusly maximising the benefits of hypnosis and mindfulness (Lynn et al., 2006; Otani, 2003; Williams et al., 2010) which tends to suggest that the two have parallels and potentially can fit together, but how do they compare as stand alone approaches and what are the differences between the two? To be honest, when you look purely at the research and examine the literature regarding mindfulness and meditation on their own, the systematic reviews and meta-analyses of meditation for psychological and physiological well-being offer up mixed results. One such review of minfulness for psychological stress (Royal, Singh, Sibling, Gould et al., 2014) stated that mindfulness meditation programmes in particular, indicated small improvements in anxiety, depression, and pain with moderate evidence and small improvements in stress. Similarly, Ivanowski and Malhi (2007) concluded that whilst early findings from treatment outcome studies provide support for the application of mindfulness-based interventions in the treatment of anxiety and personality disorders, direct evidence for the effectiveness of mindfulness meditation per sé in the treatment of psychiatric disorders is needed. In contrast, Saeed, Antonacci and Bloch (2010) concluded that meditation has not shown it’s effectiveness as a treatment for depression and anxiety according to the studies that they reviewed. The variety of applications for meditation tends to centre around stress, anxiety and pain within these reviews yet the applications of self-hypnosis cited in my own books, here on this blog and within my own formal research would appear to be further reaching. To really get a sense of the depth and variety of research supporting a range of self-hypnosis applications, just visit my Facebook page, my Twitter account or my Instagram account and look at some of the memes I put together highlighting real top quality studies with great methodologies that meet the criteria for randomised control trials. Additionally, grab a copy of my book, The Science of Self-Hypnosis and see all the studies and research referred to in there. Mindfulness meditation has already achieved a level of credibility, popularity and acceptance by public and professional communities that the fields of hetero-hypnosis and self-hypnosis can currently only hope to aspire towards. Yapko (2011) within his book that looks to combine the benefits of both mindfulness and hypnosis suggests that this is due to the image of hypnosis created by TV and film representations of hypnosis and the way they contribute to much myth and misconception, whereas mindfulness has not faced any of the same types of portrayal despite hypnosis and mindfulness sharing many core values. Likewise, the practitioners of mindfulness tend not to have such variance in the way they approach the subject and tend to make less unfounded claims about what they can and can’t do. In a rare review of mindfulness and hypnosis literature, Holroyd (2003) draws parallels from meditation and hypnosis investigations highlighting similar parts of the brain are being used in both. In fact Holroyd goes on to state that when suggestions for self-enhancing experiences are given during mindful meditation, it is indistinguishable from hypnosis. Similarly, Simpkins and Simpkins (2010) identified a shared neurobiology between meditation and hypnosis, in particular highlighting the brain structures associated with focus and attention. The neuroscience of hypnosis and meditation are still largely inconclusive and as Williams, Hallquist, Barnes, Cole and Lynn (2010) state “researchers’ understanding of the specific meaning of neurophysiological activity is still rudimentary” (p. 334). Yapko (2011) surmises that it is premature to conclude that meditation and hypnosis are neurophysiologically the same or different. If it is too soon to suggest that neurbiologically the two are the same, what about subjective experience – I have many, many people that tell me that self-hypnosis and mindfulness feel the same to them, and that they share qualities of experience. Holroyd (2003) goes on to highlight these phenomenological similarities cited in meditation and self-hypnosis studies and stated that both meditation and self-hypnosis were associated with alterations in self-awareness, sense of time and perception. Likewise Holroyd (2003) highlights that both meditators and self-hypnotists experience changes in imagery vividness and tended to be accompanied by feelings of joy and love. Meditative techniques tend to be categorised as emphasising mindfulness and concentration which shares some parallels with the way in which self-hypnosis has been conceptualised as a self-regulated skill within my own research and writings (Eason, 2013). That said, there is a fundamental difference between the two. 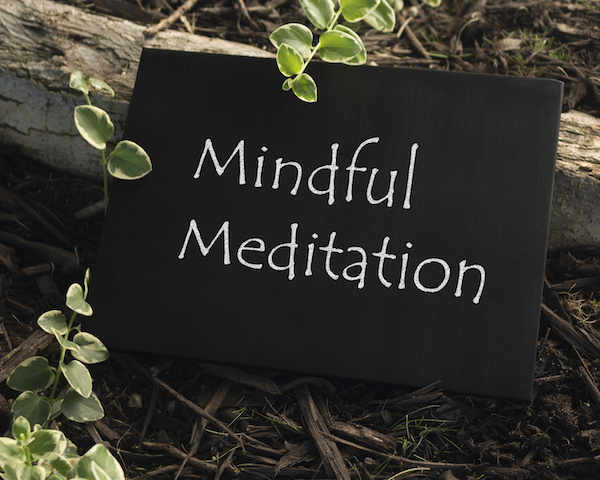 The underlying philosophy of mindfulness aims to dissuade meditators from being goal-focused. In his audio programme Mindfulness For Beginners, for example, author Jon Kabat-Zinn states “There’s no place to go, nothing to attain…. It’s realising you are already here so there’s no place else to go… What happens now is what matters… The future we want is here now – we’re already in it” (Kabat-Zinn, 2006). There are many other examples of this throughout the literature on mindful meditation. 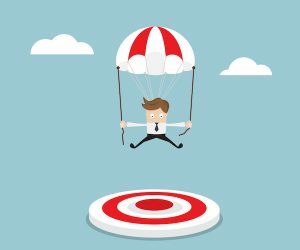 In contrast, self-hypnosis in an overtly goal-oriented process. We use very particular forms of imagery, self-suggestion, cognitive processes and so on in order to effect and create change to overcome challenges and issues and to advance abilities. It is goal-directed striving for sure. 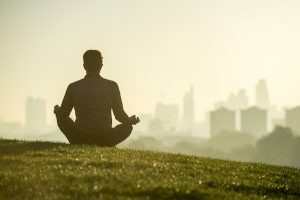 Perhaps mindful meditation has the beneficial effects highlighted in the previously mentioned reviews as a by-product of engaging in it, whereas the goal-directed nature of self-hypnosis would seem to make it a more direct process – with a potentially wider range of very specific applications. For me, there are numerous other differences, primarily phenomenological, but I am resisting writing about them here as that would be purely subjective and not really the type of thing that would stand up to academic scrutiny necessarily. I can understand how they work together so well as numerous authors suggest, and I also understand how many people find parallels between the two, but ultimately, the differences are there for all to see in both underlying philosophy, approaches and subjective experience. I hope that goes some way to answering that query that so many of you ask me. Phenomenological research has largely been marginalized by North American psychology and social sciences. The necessity for producing ‘hard’, evidence-based research, along the lines of the medical model with randomized controlled trials (RCTs) and a single discovered ‘truth’, fundamentally contradicts the ‘condensation’ of experiences of everyone involved in an event, and all their different levels of experience, to come to a greater truth. Modern developments in phenomenology, particularly in the field of research in psychology and psychotherapy, include … the Duquesne school of empirical phenomenology; the post-Lewinian method of ‘conceptual encounter’ developed by Joseph de Rivera; and the existential phenomenological investigations of R.D. Laing and others. R.D. Laing’s and Claire Petitmengin ‘s phenomenological research into schizophrenia is seminal. A modern development of CBT that is being called ‘Mindfulness’ practice emphasizes this ‘being-ness’ in the world, in the moment (Kabat-Zinn et al., 2002). And is a phenomenological perspective. It is an almost direct ‘lifting’ of an ancient (2,500 year old) Zen Buddhist practice that is now being woven into CBT. The cognitivist hypothesis of Jackendoff proposes cognition consists of unconscious symbolic computation and conscious experience- or pnemoenological mind. I do agree with you that it can often come down to subjective experience. I currently use mindfulness with many of my hypnotherapy clients and the majority can really see changes in their stress response following regular use of the audio program that I provide them. A very good point about the dichotomy between needing to do nothing in mindfulness other than be a witness and being highly directed in hypnosis. I can certainly see benefits from a two pronged approach with my clients.